Make sure you play by the rules when scoring discounts with coupons. intro: Coupons are a great resource for shoppers to save money, but it is important to make sure you play by the rules when scoring these discounts. Coupon fraud is a punishable offense and, while penalties vary case by case, the Coupon Information Corporation says that the harshest convictions for this type of fraud include a 17-year prison sentence and a financial penalty of $5 million. To help prevent shoppers from committing coupon fraud unintentionally, Joanie Demer and Heather Wheeler, founders of KrazyCouponLady.com and authors of "Pick Another Checkout Lane, Honey: Learn Coupon Strategies to Save $1000s at the Grocery Store," share their tips to playing fair when couponing on the following pages. Watch the full story on "ABC's The Lookout" Wednesday at 10 p.m. ET. Expiration date: Check for long expiration dates or dates that appear to have been altered. Typically, valid printable coupons have short expiration dates and they usually expire after 30 to 90 days. Bar codes: Watch out for bar codes that look fuzzy on coupons. 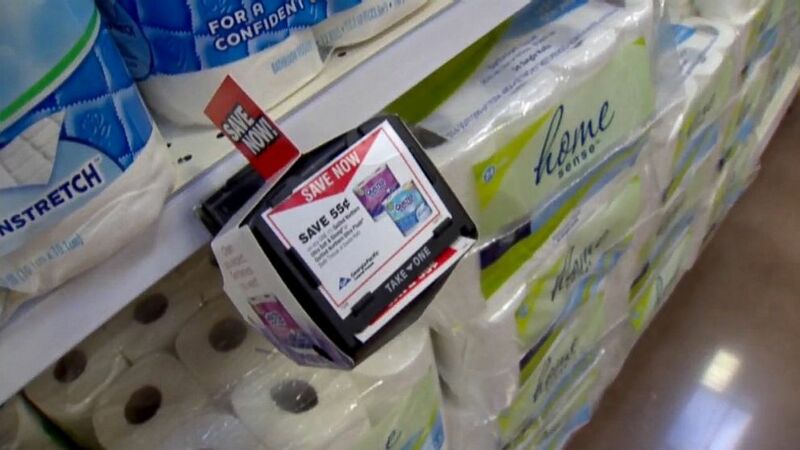 Wheeler and Demer say that "proper, printable coupons use technology to create clear bar codes." Legal language: Manufactures will include legal language on their coupons to protect against fraud and/or misredemption. Most printable coupons include the phrases such as, "coupons are not to be altered, copied, transferred, purchased, sold, etc." Instructions for the retailer: Typically, customers should be able to find instructions for the retailer that will include mailing addresses and directions for reimbursement. Unusually high dollar value: Wheeler and Demer warn customers, "If the brand typically has coupons between $0.25 and $1.00 and you find one for $4.00 off, that should raise a red flag." quicklist: title: Bar Code Decoders text: Bar code decoders help support ethical couponing, providing retailers the opportunity to apply a matching bar code to each product's intended discount. Wheeler and Demer advise shoppers to only use coupons for items specified by the verbiage on the coupon. quicklist: title: Use of Expired Coupons text: Some shoppers try to still redeem coupons after they have expired. The founders of KrazyCouponLady.com dissuade customers from this practice and say that it "is considered dishonest." quicklist: title: Photocopying Coupons text: According to Wheeler and Demer, photocopying printable coupons can be just as illegal as manufacturing your own coupons. If a customer would like more than the offered print limit of two coupons, the best way to accumulate them is to ask family and friends to print or mail the desired coupons. Also, the limit of printing two coupons is a restriction applied per computer, not per printer. So if your household has both a desktop and a laptop, you can still print four coupons from home.